Youngjun is a computer scientist and a lecturer (Assistant Professor) in the department of Computer Science at UCL (University College London). He explores, builds and evaluates novel techniques and technologies for the next generation of physiological computing* that boosts disability technology innovation. In his PhD research at UCL, he investigated mobile thermal imaging-based physiological sensing and automated stress recognition for mental health innovation. 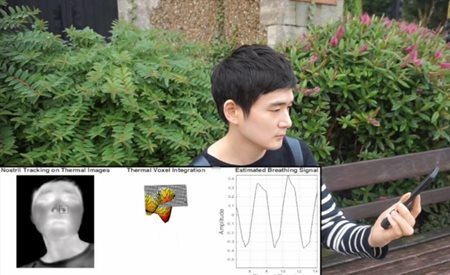 Before deciding to undertake his PhD study in November 2015, he had worked as a senior researcher and specialist at LG Electronics (full-time: 2011-2015, leave of absence:2015-2018). Amongst his research outcomes, advanced 3D proximity sensing systems were successfully commercialised in collaboration with major automobile manufacturers in the world**. He has authored numerous papers and patents in areas related to physiological computing, machine learning, human-computer interaction and multimodal sensing and feedback. Some of the achievements have been featured in forums for the general public such as BBC News, Phys.Org, Imaging and Machine Vision Europe, Science Daily, and SBS News. *What he means by physiological computing is technology that listens to your bodily needs and adapts its functionality. ** His work in industry had been promoted to Google, BMW, Porsche, Bentley, Volkswagen, Jaguar, Mercedes-benz, etc. (One of commercialised products he has contributed to: Proximity Touch for 12.3inch-unit display in Porsche Panamera).